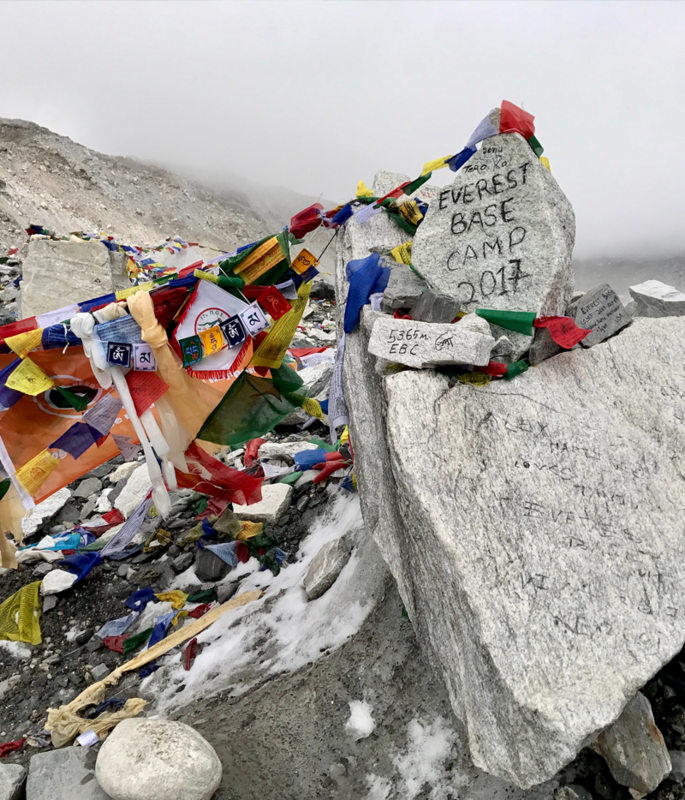 The South and North Base Camps at Mount Everest are legendary, situated in Nepal and Tibet respectively they are essential for climbers ascending the highest mountain on the planet. Despite being just rudimentary campsites, a mere collection of tents in the shadow of the great peaks, the base camps allow climbers to rest, acclimatise to altitude and wait for ideal conditions. For many the base camps are a destination in themselves, visited with no plans for onwards scaling of dangerous mountainsides. 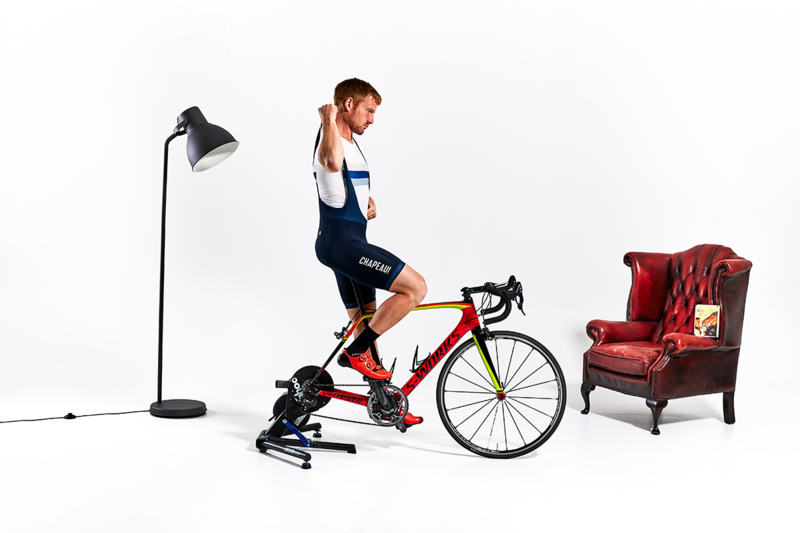 In the world of cycling apparel Everest’s base camps are the humble base layer. Simple garments with an important job, allowing you to conquer your chosen challenges. Whilst the odysseys you undertake in your base layer may not win you the plaudits of Ranulph Fiennes they’re unlikely to leave you without fingers and toes. That said, last winter was a pretty tasty number that had us pondering on the practicalities of double Velotoze. As September draws to a close and we welcome in the russet tones of the Autumn we start our own acclimatisation to the changeable weather conditions. It’s not yet cold enough for winter gear but it’s a bit of a stretch to persevere with the summer clobber. This is where our artful layering comes back into play, we wrote a handy guide to that at the start of year. Earlier this year we released our mesh base layers, an addition to our much loved merino base layers. 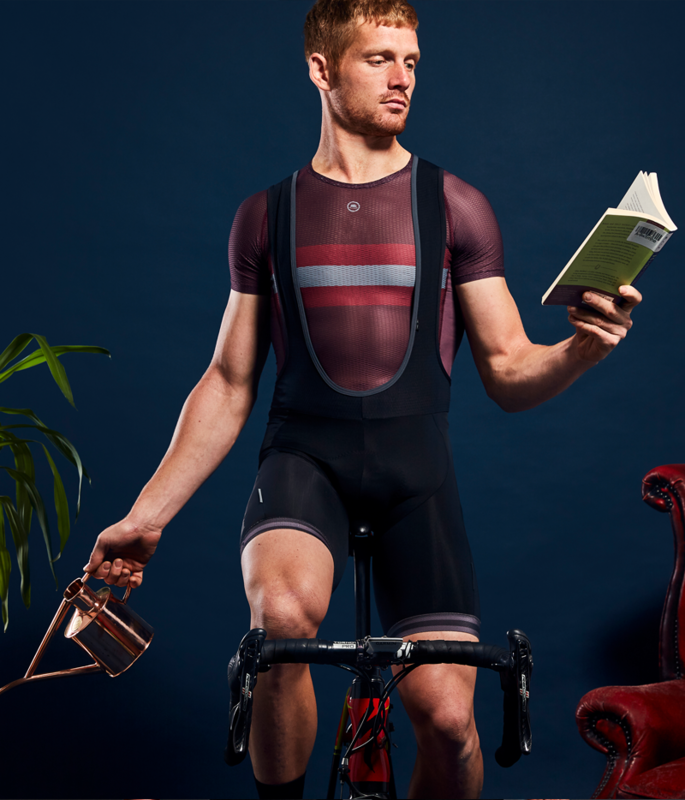 Much like your favourite cardigan, a nice cuppa or plum crumble, the mesh base layer comes into it’s own at this time of year. Available with or without sleeves, the Italian kite mesh fabric wicks moisture away from your skin with the efficiency of a Shinkansen Cleaning Team. Much like the dogs that aren’t just for Christmas, base layers aren’t just for layering. 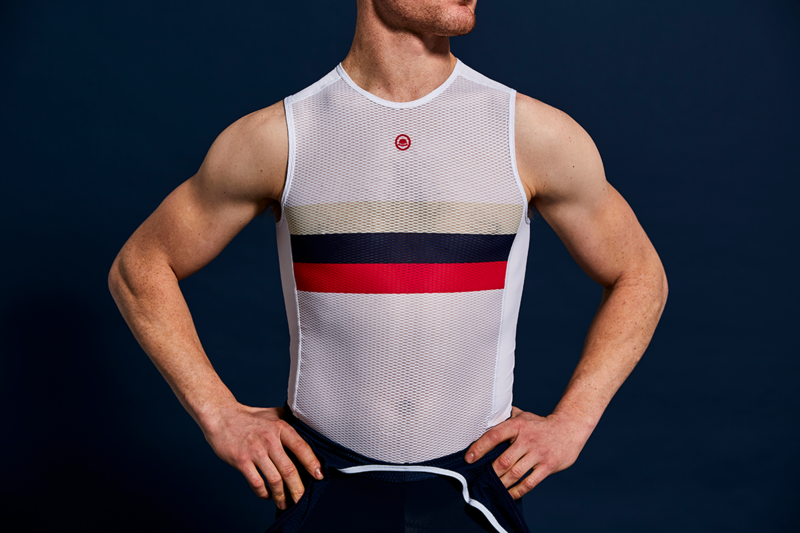 Worn on their own our mesh base layers are ideal for indoor training and that season is very nearly upon us. 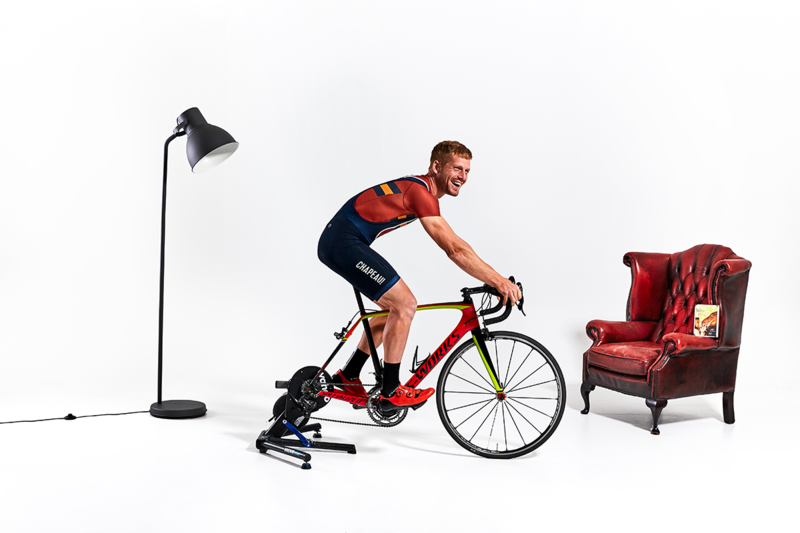 Next time you’re thinking about spending an hour zooming around Watopia or killing yourself in Sufferlandria, give yourself some base comforts. 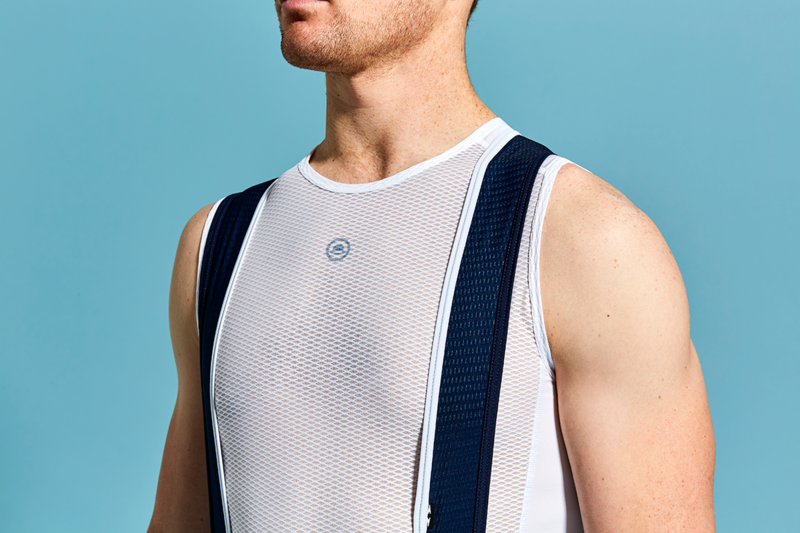 Wicking isn’t a quality exclusive to mesh, our merino base layers with their natural anti-microbial odour defeating qualities also move moisture away like an ebbing tide. 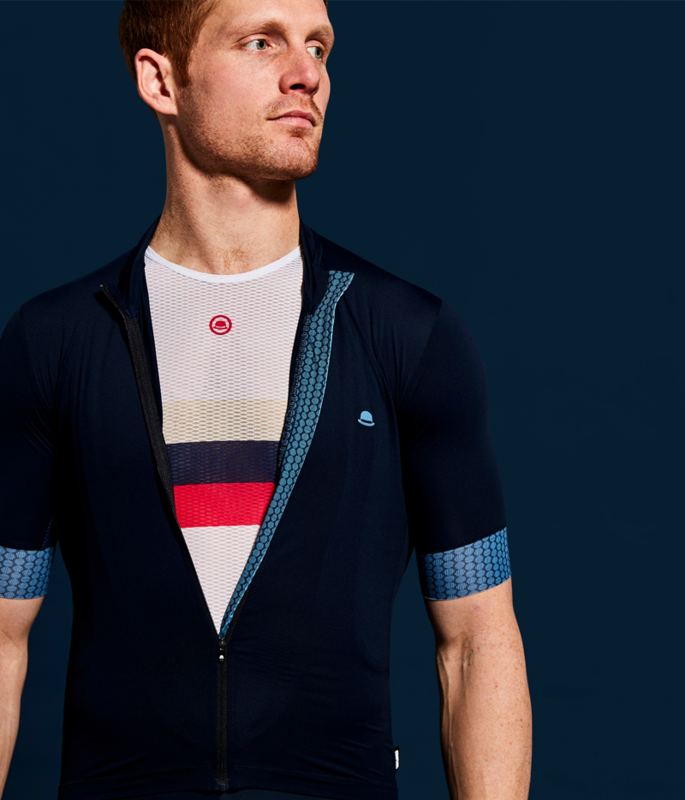 On a slightly chilly day or an early start our base layers will help you stay in your favourite summer kit for a little longer. If you’re still not familiar with the benefits of merino wool, you’re missing out. Softer than a cloud and able to regulate temperature just like animal hair it’s the perfect material for layering. The humble base layer, just like Everest’s base camps, is the essential character in a greater story. Less glamorous, less fabled and often ignored but as useful for you as Sherpa Tenzing was to Edmund Hillary. 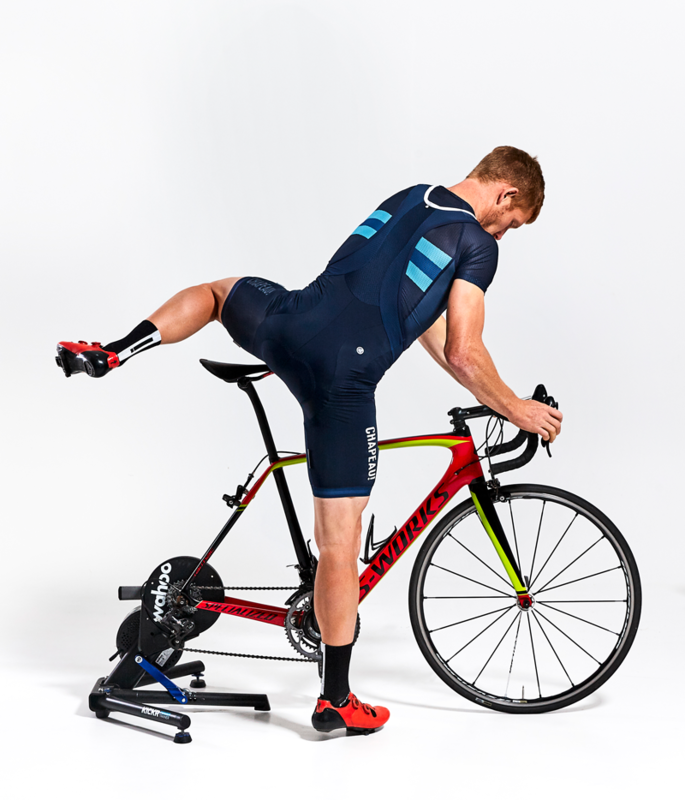 The versatile base layer is donning its crampons and free soloing into your cycling wardrobe.